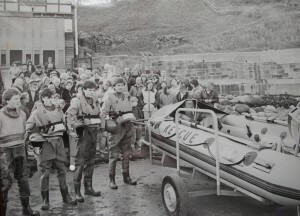 At an open meeting in the village in 1980 the decision was taken to investigate the feasibility of providing a privately funded, fully equipped, inshore rescue boat to administer emergency support within the confines of the Bay. An enormous amount of voluntary work ensued, not only in raising the necessary funds, but also in the evaluation of a suitable boat and its equipment, crew training, and the standardisation of operating procedures under the control of HM Coastguards. 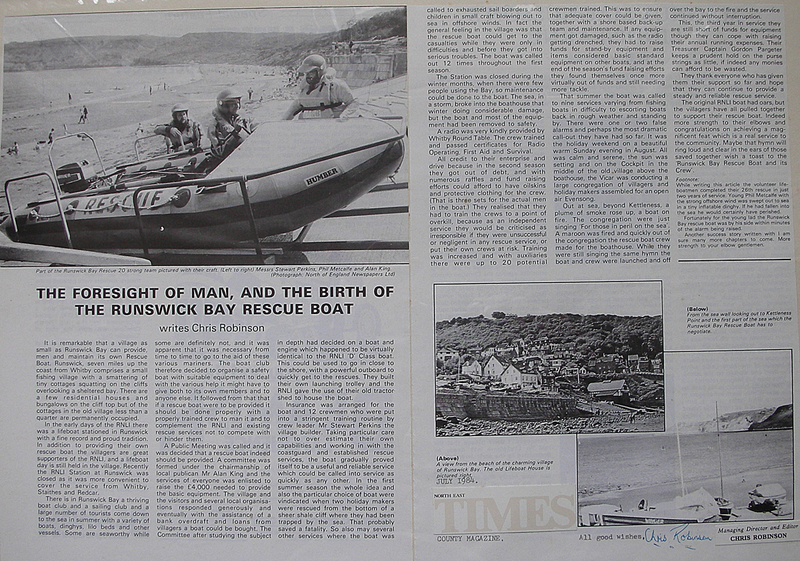 The concept of a future Runswick Bay Rescue Boat was, however, up off the ground. 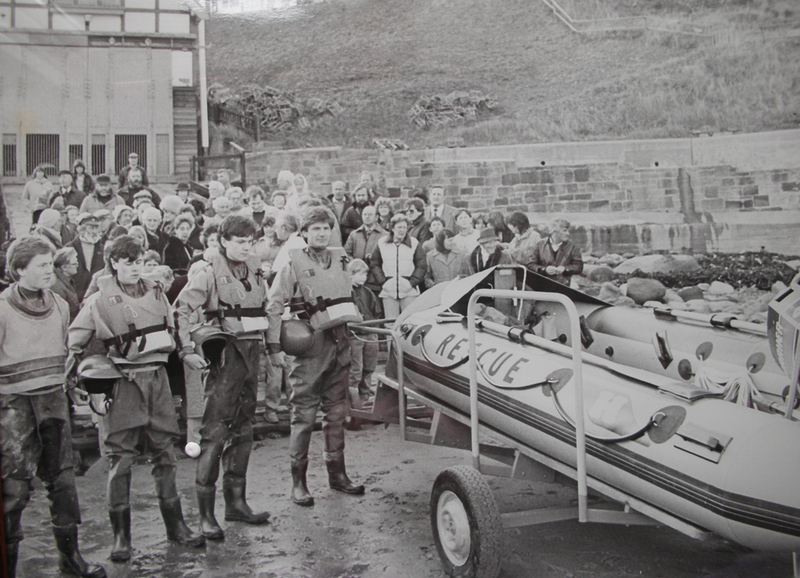 The summer of 1982 saw the first Rescue Boat, "Claymoor", in service in the village. 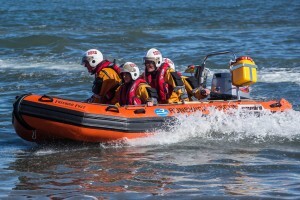 Following the example of the RNLI in the choice of craft, the village purchased a 16 ft inflatable boat from Humber Boats in Hull powered by a 40 HP Mariner outboard motor. The boat was equipped similarly to the hugely successful RNLI D class ILB with VHF radio and a vast array of safety equipment. "Claymoor" was launched on service 35 times until its replacement in 1986. 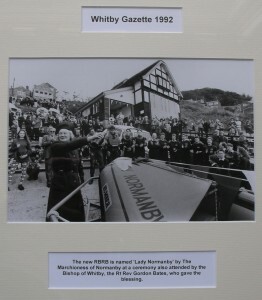 In 1986 a new Rescue Boat was purchased and took up station in the village. Also built by Humber Boats, the new boat was a 17-ft semi rigid inflatable powered by a 40 HP Mariner engine. Experience gained over the years indicated a semi rigid to be more suitable for the majority of our tasks. 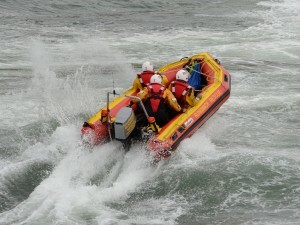 The boat proved to be faster and more manoeuvrable, more sea kindly and gave a much improved ride for the crew. This boat was named the "Christine Appleton" after the late wife of the organisation’s Secretary and was launched on service on 30 occasions until its replacement in April 1992. In 1987 following several winter time incidents in the Bay it was decided to extend the normal Easter to October period of operation to full year round cover. This decision complemented an increased trend in winter boating and boardsailing in the Bay. HMCG supported this increase in their resources, the only difference from seasonal cover being a slightly increased reaction time. 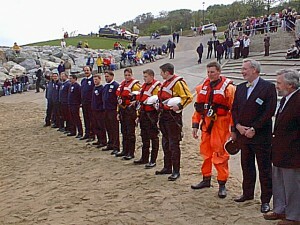 In 1991 the RBRB received official recognition from HMCG when it was made a fully declared facility within the sea rescue organisation. 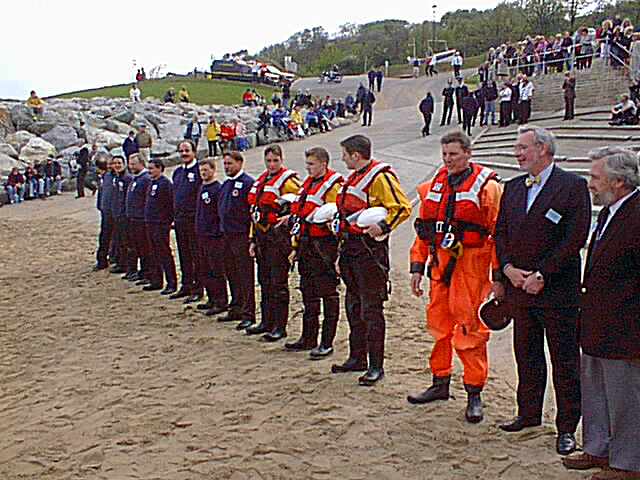 Coinciding with ten years of successful operational service in April 1992, the organisation celebrated the launching of its latest Rescue Boat by the Marchioness of Normanby. 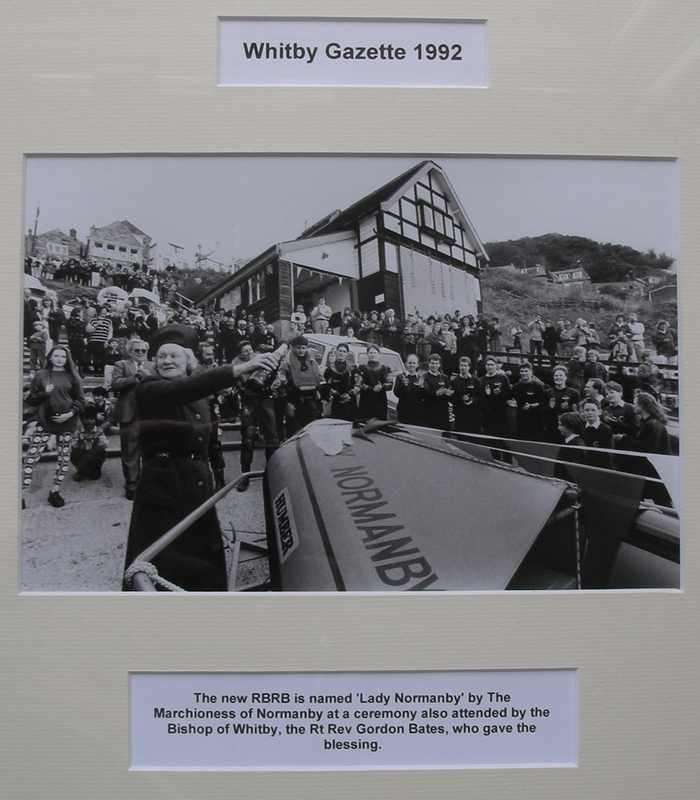 Named "Lady Normanby" the boat was a modern ‘deep V’ 17 ft semi rigid inflatable built by Humber Boats and powered by a 55 HP Mercury outboard engine. This boat was launched on service on 40 occasions until its replacement in 2000. 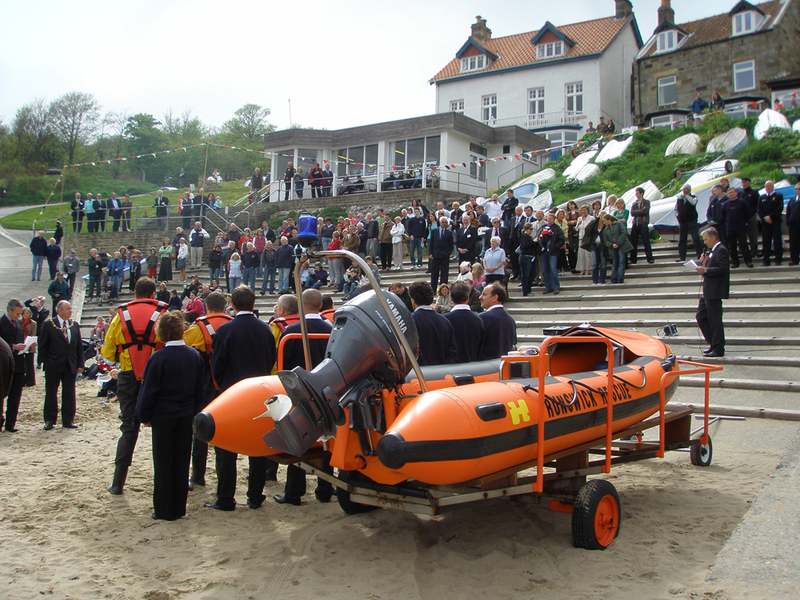 In November 1995 the Rescue Boat won the North Yorkshire Village Ventures Award, presented every other year to an organisation that has made an outstanding contribution in the local community. The replacement, the Enita Margaret, similar to the Lady Normanby but a foot longer, took up station in June 2000. Keeping pace with improving technology, this boat sported many electronic features including a GPS navigator and plotter. The boat was launched on service 33 times until its replacement in 2007. For such a small organisation to maintain full year round operational readiness, an enormous burden was inevitably placed throughout the winter on very few personnel. Consequently, the decline in year round fishing and boating within the village, led to the decision being taken in 2005 to return to seasonal/ holiday time cover only. The situation continues to be reviewed on an annual basis. 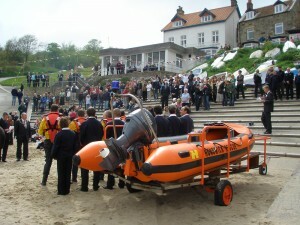 The Spirit of Runswick took up station in April 2007. This was a 5 metre Humber Assault RIB driven by the same 50Hp Mariner engine used on the RNLI D Class. She was lighter and slightly smaller, as was the engine, but could still achieve a respectable 26 Knots with 3 crew. The replacement and sixth rescue boat to serve RBRB, Spirit II, is a Gemini GRX420 catamaran hulled semi-rigid inflatable and she took up station in late 2010. Spirit II sports a 50Hp Mariner, 2 stroke, short shafted engine and has a draft of no more than a foot. She is incredibly light, fast and highly manoeverable and is ideally suited to close to shore work among the rocky coastline on either side of Runswick Bay’s beach. Freebird Fojt is the seventh rescue boat to serve in RBRB and she is an identical boat to Spirit II. The success of the lighter and more manoeverable Gemini was felt something that we should replicate. However, she benefits from being internally fitted to the exact design and specification of the RBRB team. RBRB has also retained Spirit II and therefore has the security of a reserve boat and engine for both training and also as a replacement if any damage or maintenance issues should prevent Freebird Fojt from being able to be on service.